Measurement systems analysis (MSA) is an assessment of variation contributed by the measuring system. When implementing any statistical method that relies on data, it is important to be sure that the systems that collect that data are both accurate and precise. A set of procedures, often referred to as "Gage Studies", are widely used to assess the quality of measurement systems. The following table shows the measurement systems analysis procedures in Statgraphics' systems analysis software. For measurement systems that result in quantitative measurements such as weight, concentration, or strength, it is important to determine the magnitude of any error in the resulting measurements. If the error is large, it may be impossible to determine whether or not an individual sample is within spec. In addition, designed experiments rely on the ability to separate real effects of making changes from the background noise and could be sabotaged by an inadequate measurement system. 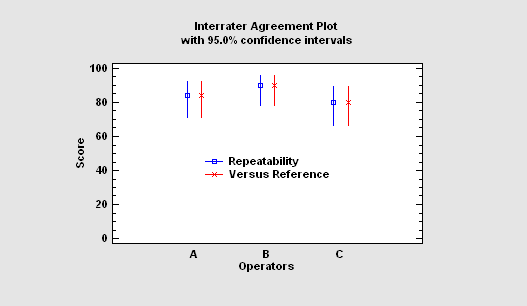 When quantifying measurement error, it is common to separate the error into repeatability (error due to the instrument or measurement procedure) and reproducibility (error due to the appraiser). 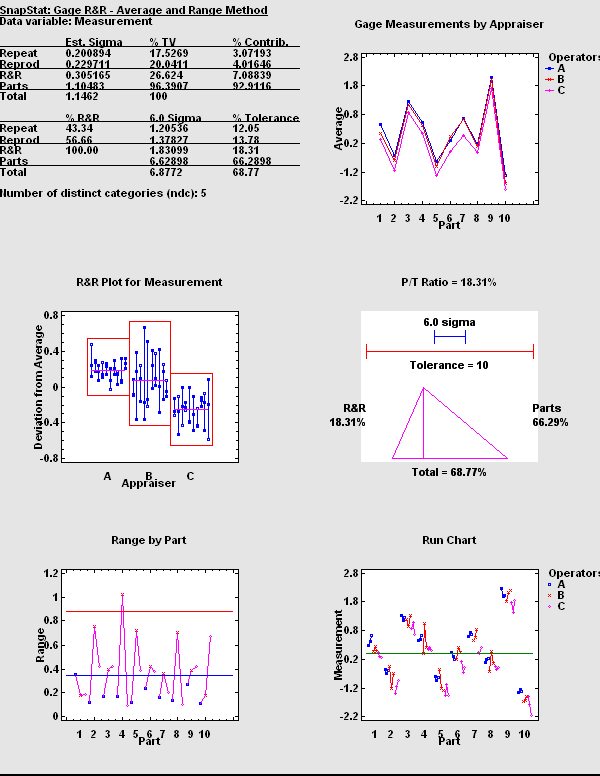 STATGRAPHICS systems Gage R&R analysis software implements the procedures suggested by the AIAG (Automotive Industry Action Group), including the average and range method, ANOVA method (with and without interaction), and the range method (for short studies). 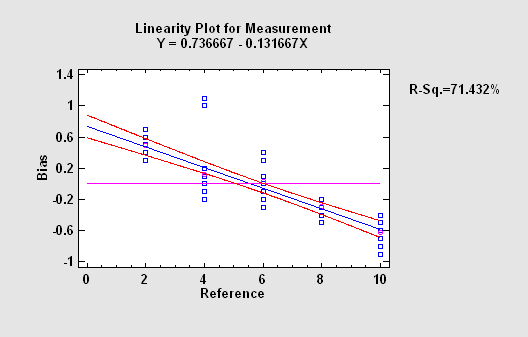 While repeatability and reproducibility studies concentrate on the variability or precision of a measurement system, Linearity and Accuracy studies quantify the bias. In these studies, multiple measurements are made on reference samples for use with measurement systems analysis software. Then an equation is constructed for the bias of the measurements. When the results of a measurement system are PASS or FAIL rather than a quantitative value, special procedures are necessary for measurement systems analysis. STATGRAPHICS Centurion systems analysis software provides three procedures outlined by the AIAG to deal with such systems: the risk analysis method, the signal theory method, and the analytic method. In the risk analysis method, multiple appraisers measure samples with known characteristics. Statistics are calculated based on how often the appraisers correctly characterize each sample and how frequently they agree with themselves and each other.